To celebrate University Press Week, I’ve listed my top 10 books published by University Presses. I’ve tried to arrange them in chronological order, starting with my first exposure to a University Press book through to the present day. I was a disciple of Blanchot from the moment I first ever picked up his work as an undergraduate and I have never looked back. Heartily recommended. I was blown away with James Agee’s Let us now praise famous men and subsequently rushed headlong into devouring Agee’s small literary output. The search also brought me to this book. There’s not a lot of criticism on Agee’s work, so it was nice to find a book where Agee friends and critics speak openly about the writer and film critic and about his legacy on the American literary scene. If you love Goethe’s Sorrows of Young Wether, you’ll probably love this book. It is a classic that deserves more attention. 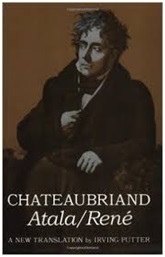 I was introduced to this book by a flatmate who was studying fine art in London. It is not something that I would have picked up and yet I found it a brilliant book. From the opening pages, it offers a very honest, stripped down assessment of contemporary art and the movement that become known as ‘happenings’. For an esoteric subject, it is surprisingly easy to read. 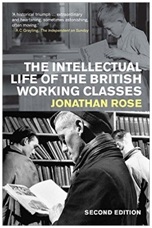 A superb book covering the working classes and their attempts at community education through organisations like the WEA. Lots of good stats and individual stories about the thirst for knowledge of self-improvement. A must for autodidacts everywhere. This book is up there with Hoggart’s The Uses of Literacy. A beautifully produced little book. A must for anyone who wants a concise understanding of the merits of socialism. Fits nicely in a back pocket. A very influential book when it came out at a time when people were starting to take notice of the drift in student engagement and interest at undergraduate level, not to mention the general shift to the student as consumer. There are a lot of good books looking at the purpose of universities and their perceived values to society/economy etc – this book focused squarely on the apathy of the student consumer. Interesting and detailed book about the unorthodox liberal art college and community, Black Mountain, including luminaries such as Allan Kaprow, John Cage and Buckminster Fuller. 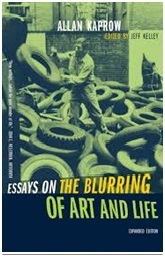 Anyone interested in the Avant Garde and artistic movements/schools, should enjoy this book. 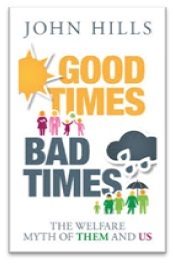 A good book published by Policy and a decent supplement to the popular Chavs by Owen Jones. The book attempts to salvage the respect of the ‘underclass’ through analysis of welfare provision, working patterns, tax contributions and withdrawals from the public purse. Will appeal to anyone interested in social inequality and welfare. Category: Blog, Publishing industry, Reference	0 Comments.